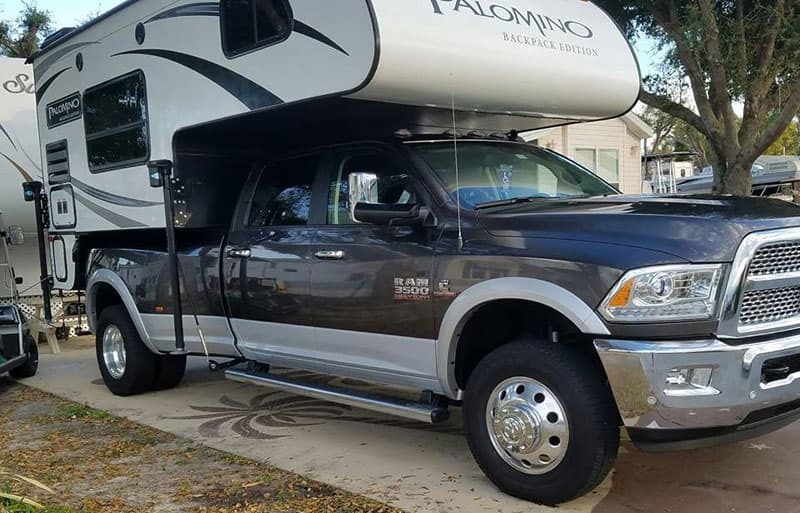 Hurricanes Harvey and Irma turned truck campers into Family Emergency Vehicles allowing some readers get out of harm’s way and enabling others go in with aid and supplies. These are must-read responses with important lessons for all of us. Thank you to everyone who responded. Your answers will help fellow readers better prepare for the next natural disaster. “Our Cirrus 820 shakedown run was during Hurricane Irma. We had been doing a few mods and waiting to have a vent fan installed before taking our 820 on its maiden voyage. But Hurricane Irma forced the issue for us. 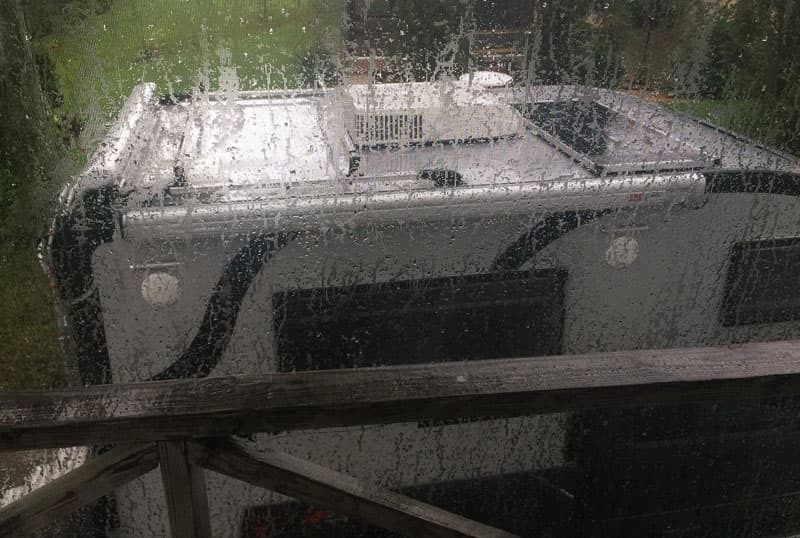 The storm was suddenly predicted to move up the west coast of Florida and right through Homosassa. We had to evacuate to our friend’s place in Lakeland, which is further inland and further south. After battening down the house and boats as well as we could, we threw a bunch of stuff in the Cirrus and headed to Lakeland. 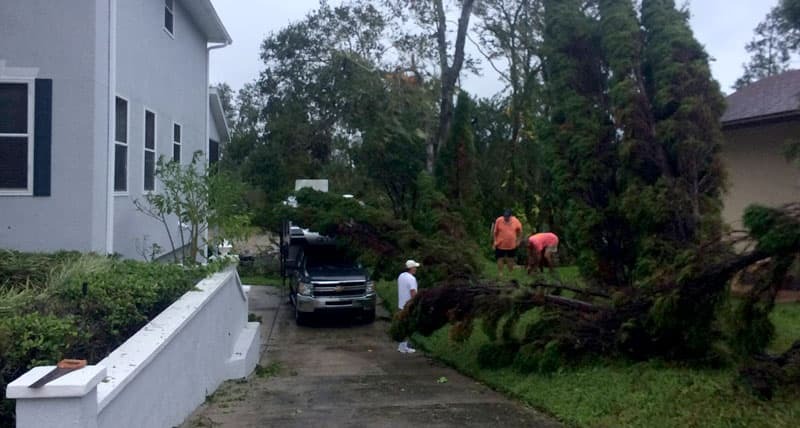 “We live in Key West and knew we would be in the heart of the storm. We prepped the house, loaded the camper, and got six six-gallon jugs of fuel. We then loaded the motorcycle trailer with freezer food, paperwork, and anything we needed to save. We the left the night before Irma hit. We also filled additional gas containers with gas before we left. That way we could run the generator when we got back. Having the truck camper is like an insurance policy. We knew we had a place to stay with all the creature comforts. We also were able to be stocked with lots of water. A few cases of beer didn’t hurt either. All in all, we lost one car, one roof, and part of one of our boats. We are very grateful that was all. We now have a huge mess to clean up. 1. The roads will be jammed. Travel times may easily be multiples of normal. If you know you’re leaving, leave early! 2. Fuel will be difficult, and perhaps impossible to obtain along evacuation routes. Stations with fuel will have long lines. 3. Restaurants and food stores will be packed. 4. Hotels and motels will be full. 5. Understand that you may not be allowed to return immediately after the storm, especially if power is out and damage is extensive.